Healthy eating: Although it is not necessary to be extremely hard on yourself, you should make sure that your diet is mostly composed of low fat and high fiber foods. Increase the quantity of fruits, vegetables and whole grains in your diet. Animal products, sweets and refined carbohydrates will have to be significantly reduced. The measurement for a food substance that tells you of the rapidity with which it causes a blood glucose rise in the body is known as glycemic index. High glycemic index indicates that the food object consumed will raise the blood glucose levels rapidly. 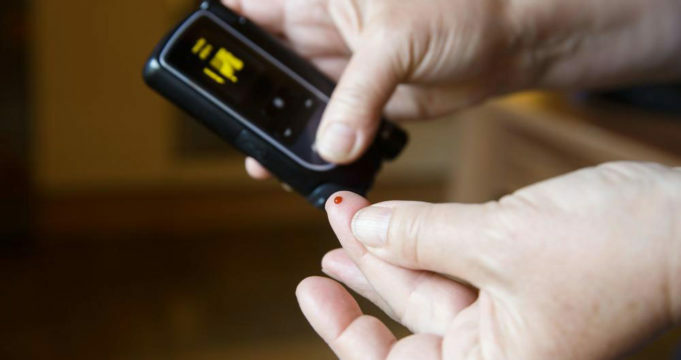 Hence, it is important that you understand and choose the food with low glycemic index in order to avoid the sudden surge of blood glucose levels. Foods with low glycemic index are usually also high in fiber. Consulting a dietician and planning a diet that fits you and your conditions perfectly can help in improving the condition a lot. Weight control: If you are overweight or obese, i.e. if your BMI is 30 or above 30, it is important for you to choose to reduce weight by inculcating a calorie deficit in your diet and have continuous physical exercise. You can set a target of losing 5-10% of your body weight, over a period of one year. Maintaining a normal and healthy body weight is capable of avoiding quite a few health problems and hence should be focused on.